"Forever praising all professors! 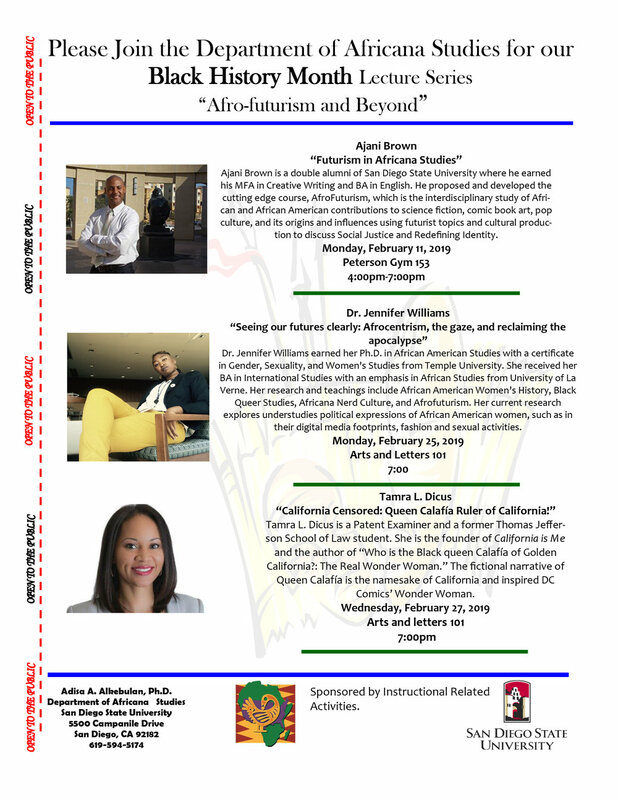 Thanks to Dr. Adisa Alkebulan for selecting me to speak on CALIFORNIA CENSORED and the Queen of California! Truly honored. Marginalized voices are speaking. California shall be censored no more. WE, the people, are our own governors. Reign your world! As our African ancestors said, “Each one teach one.” Love California. Press sign (here). While it is great to see Texas has taken down its Confederate plaque from its Capitol, a Black student in Kansas is told her skin was “too dark” to perform for it “clashed” with the uniforms (see Kansas City Star report and Diversityinc). My dear Kansas California warrior Cheerleaders and Pacesetters are so familiar with the racist environments in Overland Park, KS schools. Camille was excluded from the dance and it was alleged that “the audience would look at her and not the other dancers” (see lawsuit). As teenagers, I recall my darker friend had to change her pantyhose color that did not match with her skin color to “blend in” with the rest. Our solutions then were to fight for spots in the headlight, initiate programs, and involve the U.S. Dept. of Justice. Camille is dubbed today Queen Calafia’s California Amazon warrior for courageously filing that lawsuit! We support you beautiful! Slay Queen Camille! She knows her worth! Recently, inside a GM plant nooses and “whites-only” signs hung (see CNN). A picture says a thousand words. Look at the placement of hands. Source: Keka Araujo, Diversityinc.com. Weekly "Super Saturday" quote from Cali Is Me! Weekly Super Saturday quote from CALIFORNIA IS ME! Enjoy the weekend! Starting today, tune in every Saturday for an inspirational #SuperSaturday quote! 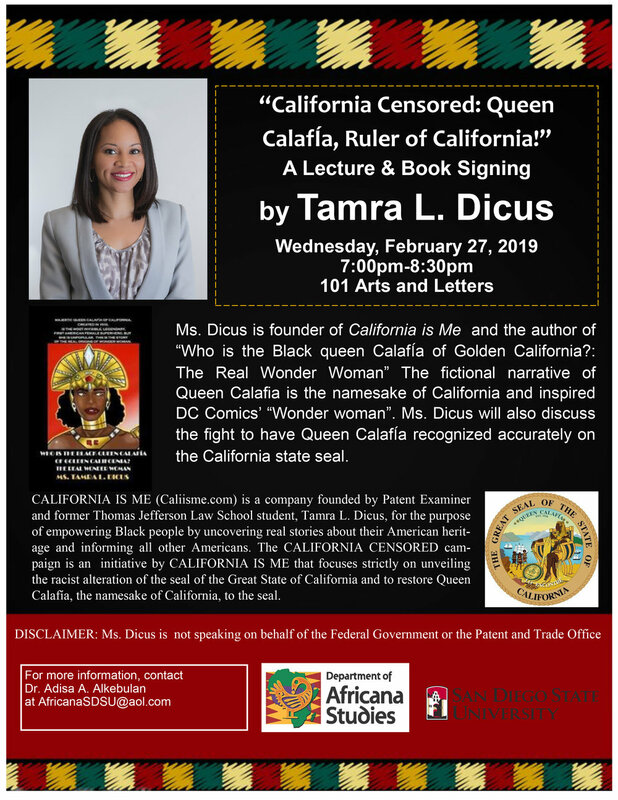 Thanks, reporter Queen Aya Elamroussi of Washington, D.C.'s AFRO newspaper for interviewing CALIFORNIA IS ME founder, Tamra Dicus, to nationally highlight the real truth of America's golden black gem in the Queen of California! We absolutely love the title and article! 900 views and counting! 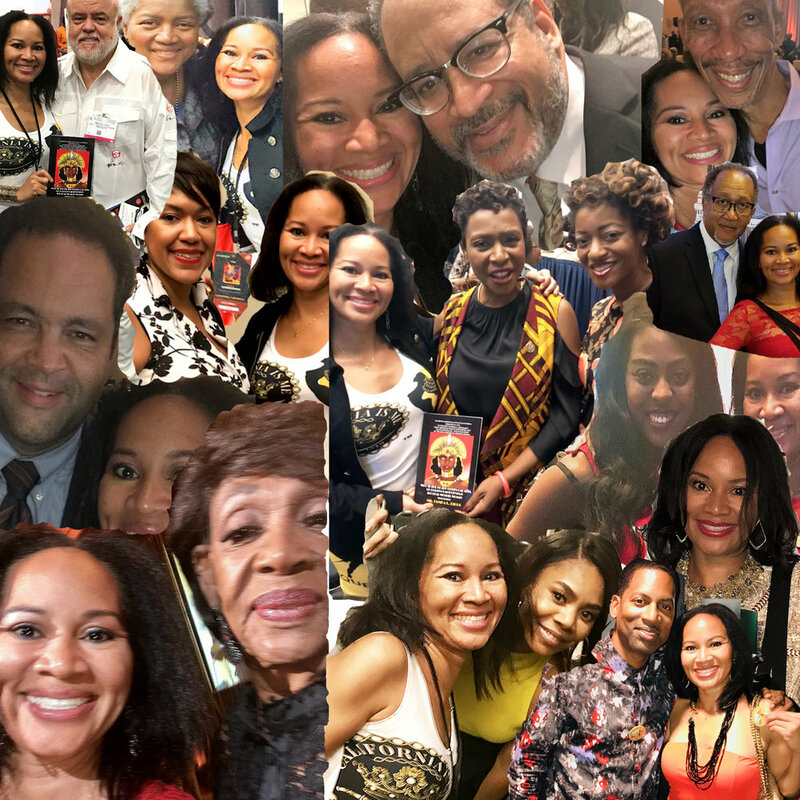 Act, Educate, and Celebrate! Grab a t-shirt and book "Who is the Black Queen Calafia of Golden California? : The Real Wonder Woman" from Amazon. Please don't forget to sign the act. #RevealTheSeal #Justice4QueenCalafia #BlackGirlMagic indeed. Flawless formation.